A short course for science teachers at Yosemite National Park changed how three Fellows use outdoor education in their classrooms. the rock described in the text. Photo credit: Krystal Park. 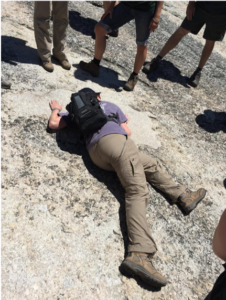 If you were to make your way through the crowd to see what could be captivating this group of 20 in sun hats and backpacks, you would see a series of semicircular marks etched into the surface of a light grey rock speckled with white, pink, and black crystals (Cathedral Peak Granodiorite). It’s a chatter mark, lasting evidence from 20,000 years ago when this peak was 2,000 feet below the Tuolumne Icefields glacier and boulders swept along by sub-glacial rivers left their characteristic impact pattern. Who is this group of adults so excited by a single section of rock? They’re science educators from around the country who have all come to the Yosemite Field Institute to hone their observation skills, practice new sketching and field journaling techniques, snap photos of phenomena to bring back to the classroom, and learn about the natural history of the High Sierras. Here atop Pothole Dome in Yosemite National Park, surrounded by verdant meadow systems and picturesque granite peaks, they are getting quite excited about geology and science education. The primary focus of the Yosemite Field Institutes is to give teachers practical, in-depth training on how to lead students through field-based explorations. This training unfolds over the course of several days through a series of outdoor activities designed to have participants engage with content, phenomena, and pedagogy as both teachers and learners. Typically, the Field Institutes center around a theme related to the Next Generation Science Standards (NGSS); this year’s theme is “Concepts, Core Ideas and Practices.” This theme is first explored shortly after participants arrive and then revisited many times throughout the Institute as teachers are urged to think about how to bring it back to their own classrooms. Nearly all of the workshop time is spent outdoors on daily excursions to different, breathtakingly scenic places throughout Yosemite National Park. Camping in the park allows for easy access to some of Yosemite’s most famous vistas and provides the perfect opportunity to see providers model teaching without a traditional classroom. Each excursion highlights a different dimension of field-based teaching from developing local knowledge (e.g., the geology, natural history and cultural history of the Sierra Nevada) to understanding ecology (e.g., soil typing, water quality and macroinvertebrate collection) to practicing field techniques (e.g., birdwatching, plant identification, quadrat and transect sampling methods) to learning useful outdoor teaching skills (e.g., sketching, journaling and making observations). The workshop is led by practicing teachers, and scientists and local professors are often brought in to share their expertise. Participants are given ample opportunities to reflect and discuss how they could apply their lessons from the Field Institute to their particular school context. It should also be noted that participants get to spend plenty of time relaxing around a campfire and having great conversations with interesting, like-minded educational professionals. Quick info: This training gives teachers practical, in-depth training on how to lead students through field-based explorations. Over several days, participants engage outdoors with content, phenomena and pedagogy as both teachers and learners. The majority of workshop time is spent outdoors on daily excursions to different, breathtakingly scenic places throughout Yosemite National Park. Each excursion highlights a different dimension of field-based teaching such as developing local knowledge, understanding ecology, practicing field techniques, and learning useful outdoor teaching skills. Who should consider this PD: High school earth science, biology, environmental science and geology teachers. My experiences at the Field Institutes have been nothing short of incredible, and this year will be my fourth time returning to Yosemite as either a participant or facilitator. On a personal level, simply taking time to be outside, making observations and learning about the natural world, has been a good way to mentally reset during the summer. The rich professional learning is almost an added bonus to this vitally important time and experience away from the classroom. One of the biggest takeaways for me has been a deeper understanding of the NGSS, which evolved through several different curricular activities as well as numerous conversations with other teachers. The field work in Yosemite, where participants are able to actively engage with natural phenomena and use data to develop the story of a place or object, was where I really started to see NGSS crosscutting concepts (concepts which are linked across different domains of science) come to life. Parallel lines of stomatal openings for gas exchange on the underside of a Ponderosa pine needle—structure and function! Distributions of plant and animal species based on the geology and hydrology of meadows—patterns (and systems. . . and stability and change . . . and energy and matter . . . and cause and effect)! This way of viewing the natural world has helped me to internalize the NGSS in a new way and my current units and lessons now incorporate many more earth science concepts and tangible, real-world phenomena. Give students a few moments to notice and wonder, and they will see the world through fresh eyes. I have also become better able to lead field-based projects with my students, which can be intimidating as it involves leaving the cozy (and more controllable) confines of the indoor classroom. For the past three years, I have had my students get outside to track changes in their own schoolyard with a phenology (the study of change in nature over time) project based on observations of trees. This year, my students are making one to two monthly observations of assigned trees on our campus. 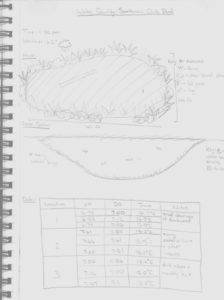 These observations include either a short- or long-form data collection sheet, a scientific sketch, and a photo. All materials are archived by students, and the project culminates in two products: an illustrated circular calendar and a digital PowerPoint flip book. Both products are annotated with field notes and observations about the growth and development of their trees and as many related examples of NGSS crosscutting concepts as possible. The tree phenology project is not only a creative way for students to connect crosscutting concepts to the real-world phenomena they directly experience but it has been financially rewarding for my classroom as well. In the past three years, I have leveraged it to land several grants worth thousands for computers, field equipment (e.g., notebooks, rulers and magnifying glasses) and Vernier data collection devices. I remember our first task at the Yosemite Field Institute because it transformed the way I think about engaging students with the outdoors. We were sent out into the woods to find a spot where we could sit alone. The prompt was simple: “Write down what you notice and wonder.” In 15 minutes, I filled my nature journal with observations and questions that never would have crossed my mind had I not been asked to sit alone in one place silently with my eyes and ears open. Could unleashing my students’ powers of observation be this simple? I tested it out the first week of school. Our urban environment isn’t quite Yosemite, but several oaks, dogwoods, and maples spring up out of a narrow patch of grass and shrubs across the street. I gave each student a blank nature journal and sent them out with the same prompt that spawned pages of observations and questions in my own journal. Dome, looking out over Yosemite Valley and Half Dome. After 15 minutes, we came back together and shared our “noticings” and “wonderings.” One student was shocked at how many different species were in the tiny plot of land. Another pointed out multiple birds’ nests in the trees. A third noticed two distinct leaf shapes that seemed to grow out of the same tree and wondered how this could be. Many had detailed drawings of leaves, bark, and cones. When I pulled out the handheld microscopes we had used in the Sierra Institute, students crowded around eagerly awaiting their turn to get an up-close look at a caterpillar that we found on that plot of land. I took away countless ideas from the Field Institute. I began a year-long citizen science phenology project in collaboration with Harvard Forest, started taking my chemistry students out to the Seekonk River to measure water quality, incorporated sketching into my environmental science class, engaged students in a variety of outdoor labs to measure biodiversity, and was inspired to take my students camping. But my biggest take-away was also perhaps the simplest: give students a few moments to notice and wonder, and they will see the world through fresh eyes. Let them be in nature, and their curiosity will flourish. If you were to ask me about what I learned at any given professional development training from three years ago, I might have a hard time giving you something beyond the major takeaways. I would have the same problem if you asked about most of my science courses in college. However, the Field Institutes are different. I can tell you in detail about the life cycle of wildflowers across Yosemite’s meadows, or the observation prompts, or the tree phenology project mentioned by Jesse and Brianna. All I would need to do is pull out my nature journal from the Yosemite Field Institutes and look through my sketches and field notes. The lessons of this professional development course have also stayed with me so clearly because I still use them almost daily in my teaching practice. 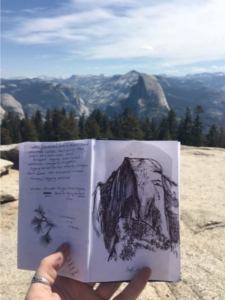 In Yosemite, I learned not only how to record observations of the natural world, but how to ground those in scientific sketching techniques. I do not think of myself as an artist, but learning simple techniques such as using component shapes and acronyms made me feel scientific sketching is an approachable, transferable, and useful instructional tool. I left excited to introduce scientific sketching to my biology class. Initially, many students had the same resistance I did, telling me “but I’m not good at drawing.” However, after time and practice, students report that it has added depth and a sense of creativity to their science class. Now my students use scientific sketches daily: making notes about the “Organism of the Day,” marking the changing seasons for their “My Tree” project, and recording data during labs. Some even employ the principles while taking notes. Seeing the positive benefit and wanting to incorporate more of what I learned during the Yosemite Field Institute, I piloted a two-week “short course” last school year called Field Research Techniques & Scientific Sketching. Students commented that they enjoyed getting the chance to spend time outside conducting labs (i.e., water quality testing, biodiversity sampling and soil nutrient testing) and connecting with their school environment by journaling. My experiences at the Yosemite Field Institute not only changed how I interact with my surroundings, but gave me the tools to change my teaching practice and open my students’ eyes to the world around them. 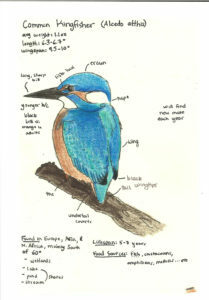 A student’s scientific illustration of a common kingfisher, her final product for Bernice’s short course in field research techniques and scientific sketching. Participants who teach in urban or suburban settings with limited access to wide-open outdoor spaces should not be deterred. Many of the techniques practiced at the Field Institutes are directly scalable to urban environments, as even the smallest patch of nature can offer myriad ways to explore how natural systems work. Additionally, although the Institutes are ideally suited for earth science, biology, environmental science and geology teachers, past participants who teach math and other sciences have reported they, too, came away with valuable and creative ideas to integrate into their respective curricula. For example, chemistry teachers have applied their learning by designing a water quality unit that moves the learning outdoors and connects students to their local river. Lastly, it bears repeating that the Field Institutes take place in Yosemite National Park. The awe-inspiring and geologically unique landscapes of Yosemite and the California High Sierra mountains have captivated people for centuries. Approximately five million people annually visit Yosemite Valley (which covers no more than seven square miles) to climb, hike and camp amongst the towering granite peaks, ancient groves and lush meadows of this glacier-carved wonderland. Learning and doing science with other educators in this environment provides a rare chance to grow professionally while at the same time rejuvenate personally. Both of these are necessary components of a sustainable teaching practice, and their relative importance should not be underestimated. We hope that you will join us around the campfire this summer, and for many to come, for this incredible experience. 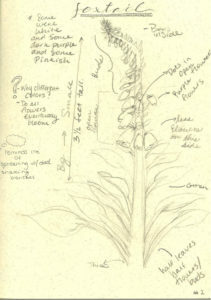 Students used scientific sketching to make observations of a plant of their choice at their home sit-spot during the first week of Bernice’s short course. 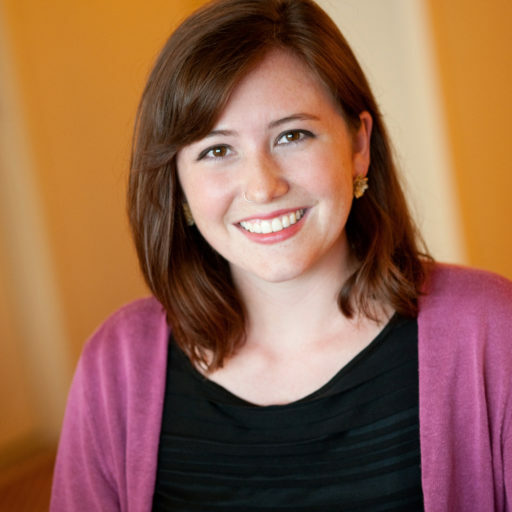 Brianna Balke, a Knowles Senior Fellow, teaches environmental science, physics, and a community improvement class called Recycle a Bike at Blackstone Academy Charter School in Pawtucket, Rhode Island. She has enjoyed serving as a mentor teacher for pre-service teachers and tries to bring her passion for the outdoors to her teaching practice whenever possible. Reach Brianna at brianna.balke@knowlesteachers.org. Bernice O’Brien, a 2013 Knowles Fellow, teaches biology and chemistry at Bainbridge High School near Seattle, Washington. 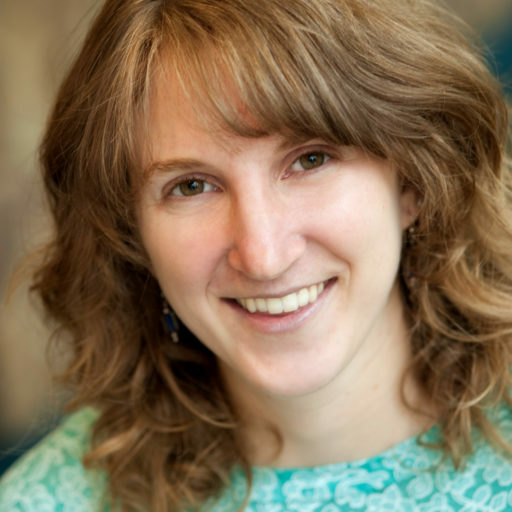 She is a board member of the California Institute of Biodiversity and will be returning to Yosemite this summer as a staff member for the 2018 Field Institutes. Reach Bernice at bernice.obrien@knowlesteachers.org. 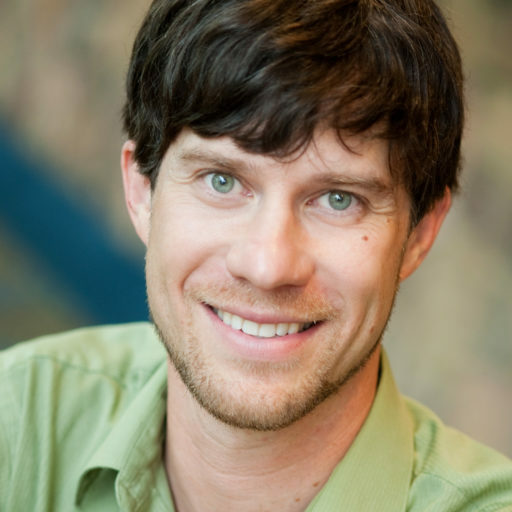 Jesse Stonewood, a Knowles Senior Fellow, currently teaches integrated science and a freshman academy course at Ashland High School in Ashland, Oregon. He is a board member of the California Institute of Biodiversity and will be returning to Yosemite this summer as a staff member for the 2018 Field Institutes. Reach Jesse at jesse.stonewood@knowlesteachers.org. Institute. Kaleidoscope: Educator Voices and Perspectives, 4(2), 21–26.